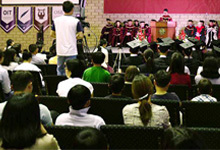 Different sized rooms can accommodate a variety of small and intimate to larger lecture type classes. Each room has wireless internet, Ethernet connection, and is capable of presenting an array of multimedia formats. All equipment can be accessed or loaned to faculty, staff, and students. 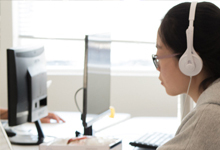 The computer facilities support an array of digital options on both Macs and PCs. 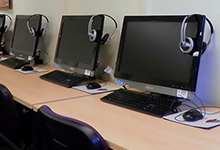 All computers are upgraded with the latest digital imaging software and connected to high-speed internet. Wireless internet access is supported throughout campus, allowing maximum mobility to suit a designer on the go. Equipment and wireless internet access is available through the Help Desk for all students, faculty, and staff. On the upper level, students can find spacious work areas and partitioned stations for private studying or research. 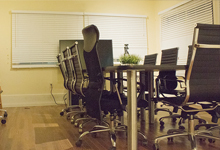 Students may also reserve the “Think Tank” conference rooms for group projects, presentations, or special meetings. 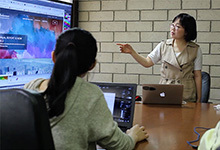 The multimedia facilities enable students to work with high definition video cameras then edit or composite using a selection of Adobe, Apple, and Sony programs. The lab is open for video graphics and multimedia projects. Students may inquire about camera rentals and lab use through the Help Desk. Olivet School of Art + Design and Olivet University provide both onsite and online libraries offering over 7 million searchable resources in its database. Within the onsite Ralph D. Winter library, students can find 20,000 volumes of design, art history, theology, advertising, digital graphics, illustration, literature, periodicals, and documentaries. Popular magazine subscriptions are also available. 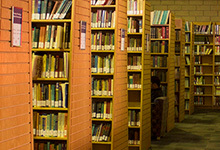 All library computers are setup with high-speed wireless internet or Ethernet connection. For additional resources, the nearby downtown San Francisco public library is only one subway stop away from campus. 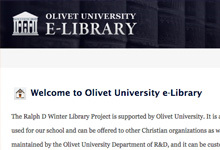 The E-Library contains 40,000 volumes of books and 7 million periodicals, all of which can be read and searched from the OLIVET E-library website. Online print magazine subscriptions and image references are also available. The E-library is an invaluable resource for online students whom can access materials from any internet connection. The 200 seat multi-use auditorium is equipped with wireless internet, lighting, stage, and custom arrangements for any occasion. It can be used for lectures, special events, guest speakers, concerts, student gallery shows, film screenings, or broadcast production.